According to oral hygiene experts, you can take very simple and easy steps to keep your toothbrush safe from numerous microorganisms while limiting the spread of diseases that result from insufficient knowledge regarding toothbrush practices. To-Do List when using a toothbrush. 1. Washing the hands thoroughly by using quality soap in addition to warm water before and after brushing and flossing the teeth is highly recommended. 2. Right after a thorough tooth brushing regime, the toothbrush should be rinsed with warm water and stored upright for drying. 3. 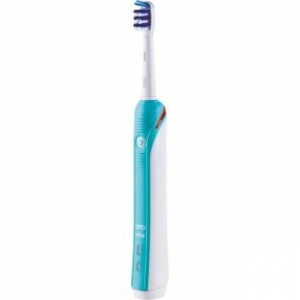 A toothbrush should never be covered or placed in a closed container unless completely dried out. Research and studies have revealed that a moist atmosphere serves as the ideal opportunity for bacteria to grow. 4. Did you know that dentists recommend using your toothbrush once it has completely dried out? 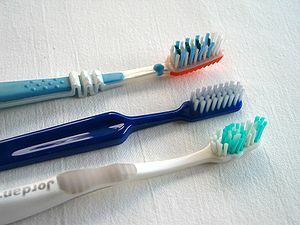 And a good way of taking care of that is keeping two toothbrushes so that each one can get enough time for drying out in between brushing sessions. 5. A toothbrush shouldn't be shared with others. Besides, storing toothbrushes in a manner that increases their chances of touching each other and spreading germs is a big mistake. 6. Your toothbrush should be replaced every 3-4 months. As time goes on, toothbrushes start wearing out while losing their effectiveness at cleaning teeth. 7. Remember, a toothbrush should be replaced following a cold or any other illness for preventing contamination. Although both work very well, some may prefer an electric brushes as they claim to clean more thoroughly. The oral-b toothbrush heads can be replaced without needing to change the actual electric handle. Brighton Implant Clinic provides oral hygiene treatments to prevent gum disease. Our hygienists can help you to look after and maintain healthy teeth and gums.